You are currently browsing the tag archive for the ‘wrist watches’ tag. 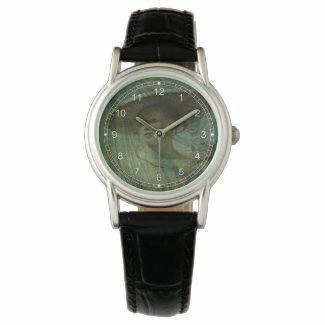 The Cuckoo’s Note Wristwatch | Zazzle #Sold! My delight knows no bounds! With a style that is feminine and chic, the Women’s Perfect Square Leather watch features a gorgeous leather band and a fully customizable face for the most unique timepiece you’ll ever own. Resisting temptation is not one of my strong points. I bought the wristwatch with my Green Leaf design and I couldn’t be happier. It’s the man’s version as I’m very fond of oversized jewellery. It’s excellently made and the only adjustment needed was an extra three holes for the strap. I’ve added lots of new watches for you to browse though. The image below contains just a few of the most popular.